Unable to attract full-time anesthesiologists, the only hospital in Maniwaki, Que., is being forced to tap into a costly provincial program to pay visiting doctors for piecemeal work, or face the closure of its surgical department. The western Quebec hospital, about 135 kilometres north of Gatineau, is grappling with a chronic shortage of anesthesiologists, who administer pain relief and sedate patients during major procedures. Facing a two-week closure of its surgical department this month —which would have meant sending patients to either Gatineau or Mont-Laurier, about 65 kilometres away — the Maniwaki Hospital tapped into a provincial program offering bonuses of up to $1,500 a day to help lure anesthesiologists from other hospitals. The stop-gap measure allowed the hospital to keep its surgical department open over the Labour Day long weekend. In addition to the five days the hospital has already brought in backup anesthesiologists, it's expecting to tap into the fund another 18 times by the end of the year, for a total of up to $34,500 in bonuses. On Monday the regional health authority said it has come up with another solution for the months of September and October. Chantal Lamarche, reeve of the MRC de la Vallée-de-la-Gatineau, said the program is flawed because it encourages an expensive, temporary solution. "When we do that, we benefit the anesthesiologist and not the population," Lamarche told Radio-Canada in French. "The anesthesiologists don't settle in our area." She said the province's $10,500 incentive to medical specialists to settle permanently in Maniwaki is reasonable, but the $1,500 per diem is not. "We want full-time anesthesiologists," she said. The hospital currently has one anesthesiologist on duty during the day, but two more are needed if the surgical department is to operate around the clock. 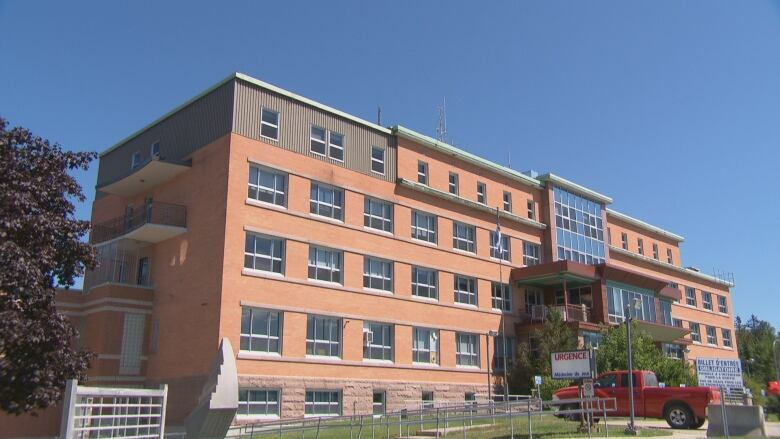 The regional health authority said it's in talks with doctors from France and Belgium to come to work in Maniwaki, but it could take 12 to 18 months before they're on staff. The Centres intégrés de santé et de services sociaux (CISSS) said it's also trying to attract doctors from other parts of Quebec, but said it can be difficult to get anesthesiologists to come to work in smaller communities. Another possibility is the province's "twinning" program, where medical specialists from large hospitals work at a smaller hospital for a period of time with bonuses of up to $1,000 a day or $3,500 a week. The Association des anesthésiologistes du Québec said it wants to add Maniwaki to the twinning program by the end of 2019, allowing the hospital there to "borrow" an anesthesiologist for 12 weeks.